Teaching is a great career option for parents – not only do you understand the young mind, thanks to spending so much time with your own little ones at home, teaching hours are also usually a good fit for busy mums and dads who need to make sure that they can be at home when their children finish school. If you enjoy sharing your knowledge and love to help young people reach their full potential, then teaching could be the perfect career to give you the opportunity to do just that, providing much personal satisfaction and a great sense of achievement in your life. However, juggling a master of education in learning programme along with your home life and perhaps even working at the same time can be very difficult indeed. These are some top tips to help make it easier for you. If you’re currently working and bringing up a young family and have decided to pursue your career dreams of becoming a teacher, then you might be wondering if you’re going to manage to be able to do this all at the same time. For many busy parents, attending college classes is out of the question since they’re unable to find the free time during the middle of the day due to either work or family commitments, which cannot be flexible. Thankfully, online study is a flexible option, which will allow you to work your teacher training around your usual schedule; you can fit it in in the mornings, on your lunch break, or during the evenings when the little ones have gone to bed. Check out this online MELCD degree for more information. Now, I am not 100% sure whether it qualifies you as a teacher in the UK but it could provide a fab start and reintroduction into education and looks really interesting. 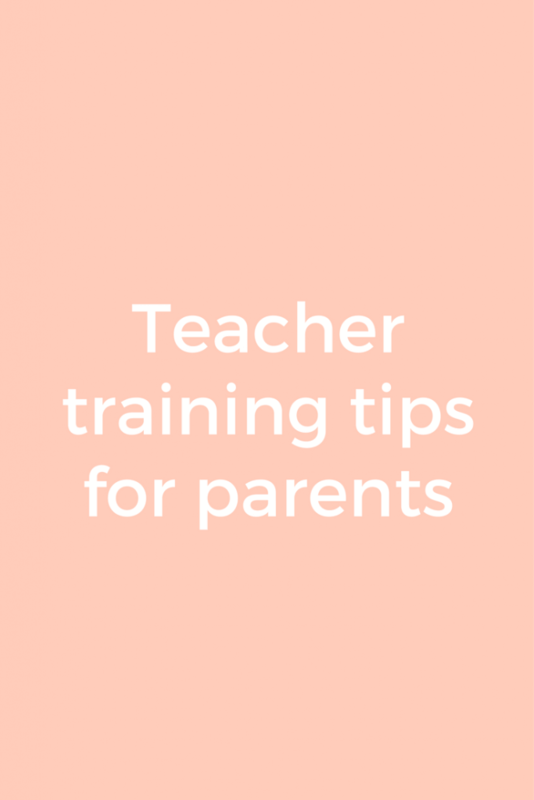 Training to become a teacher is no easy task, so if you want to make sure that you successfully graduate with the qualification needed to pursue your career, then you’ll also need to dedicate some time to planning. This is especially true if you’re going to be studying for your teaching degree online since the self-led nature of these courses means that you can quickly fall victim to procrastination and put things off for later if you’re not careful. Before you begin, it’s advisable to draw up a schedule that works well for you and includes everything that’s needed in your family life. This way, you can make sure that you are staying on track. As a busy parent, there’s certainly no shame in asking for help and support when you’re trying to better yourself to provide a better life for your family. If you’re working, studying, and raising little ones at the same time, then undoubtedly there is going to come a time when you may feel tired and overwhelmed by the sheer number of things that you need to do. Your college may be able to offer you some support and don’t be afraid to ask for help from the people in your life that care about you – most will want to see you do well and will be more than happy to lend a hand. This is a really nice post and a great way for parents to connect to their kids, make some money and still have that family/work-life balance. I’d love to work in a school and be a TA. Need to do some research into it! Great points here, especially for those thinking of going into teaching. We need to ask for help and support when we need it. I sometimes get overwhelmed with life and forget I can just ask for her. Especially as I am a work from home mum. What an informative post, Jenni. I’m sure that will help a lot of people who are considering if this could be the option for them. I am a teacher and I love my job. I think that there is no job like this one. It is so fulfilling and I enjoy every day in the classroom. I’m a teacher and this a lovely post but teachers don’t see a lot of their own children in term time, believe me. I get to school at 7.30am at the latest and leave at 5.30pm often bringing home work with me. The holidays are great as I don’t often have to find child care but I have missed many sports days, xmas plays of my own children because I am teaching.